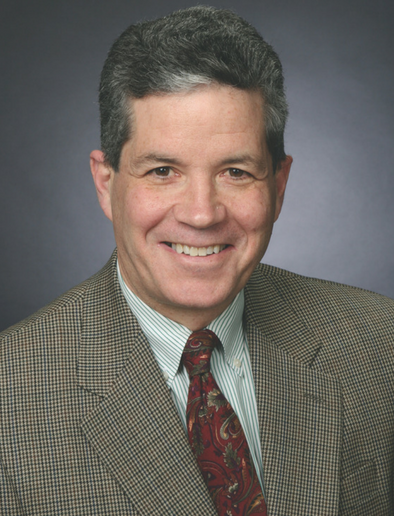 Mark D. Fischer, MD, is board certified in hand and upper extremity surgery, as well as general orthopedics. His office practice consists almost exclusively of conditions of the arm, particularly the elbow, wrist and hand. Dr. Fischer has a special interest in the arthroscopic treatment of carpal tunnel syndrome, as well as thumb basal joint, wrist and elbow conditions. He also has an interest in arthritic conditions of the hand, particularly the base of the thumb. Dr. Fischer treats all injuries of the hand, including lacerations, tendon and nerve injuries. He also treats all orthopedic injuries of the entire skeleton on an emergency basis at North Memorial Hospital. Dr. Mark Fischer saw me quickly and scheduled surgery in 2 days. I had a horribly fractured wrist that needed 2 plates and 10 screws to repair. He was a wonderful technician with great bedside manner. I healed with no infection or complications. Therapy has helped get me close to normal. It has been 7 weeks. I would recommend him highly. I’ve had three hand surgeries with Dr. Fischer. He is THE hand guy in MN. Transplants in both thumbs due to arthritis and trigger finger surgery in two fingers. This man is talented. The arthritis in my thumbs hurt so bad I couldn’t sleep. So, I decided to have the transplant surgery. Recovery took about a month. Eight years later, my thumbs are still perfect…no pain…I can do everything I want to do again. If you need this type of surgery, don’t be afraid. Recovery is quick and results are perfect. Dr. Fischer is the right guy to do this. Dr. Fischer has been my doctor for the last eight years. When I first came to him my right hand and arm were crushed and badly burned by CO2. Dr. Fischer is a very thorough doctor. I now have full function of my hand. While it may not be the strongest, I still have my hand. Thank you Dr. Fischer for doing your best so I have the use of my right hand and arm. I am a 62 year old retired school superintendent. Over the past several years I have had the opportunity to have 6 surgeries performed on both wrists, both elbows, and my right hand by Dr. Mark Fischer, and 2 surgeries performed on my left shoulder and my left knee by Dr. Rolf Hauck, with the most recent knee surgery coming two weeks ago. I cannot praise more loudly nor more courageously on your behalf if you paid me…I have that much faith in your personnel. Following the hand and elbow surgeries, I saw Rochelle over several years and developed a great relationship. Eric took care of me after my shoulder surgery last December and Matthew for my first…and only…physical therapy appointment following knee surgery two weeks ago. Last year, after the first 5 months and a weight loss of 100 pounds, I took up power walking, eventually getting up to 3 miles per day. That later increased to 4-5 miles per day, and then to double workouts each day. I had prepared myself physically going into that knee surgery with Dr. Hauck. I took Friday off, and was getting antsy on Saturday so I started to power walk. I walked 3 miles…then again on Sunday and Monday. Tuesday I pushed it to 5 miles, and 4 days later was back to double workouts daily. I give all credit to my surgeon, Dr. Hauck, but he also had a good patient! The stronger I could be going in to surgery, the stronger I will be coming out of it. On my first visit back at Oakdale, I ‘tested out’ of PT with Matthew and even he will admit that I do not look, nor act, like a 62 year old man. Ever since the surgery I have been pain free and look forward to as active a life style as humanly possible. And I owe it all to TCO and the great people already mentioned. I want you to know, from the bottom of my heart, that I would not trust my body to anyone other than the professionals I have mentioned above. And I haven’t even started on the good things that Beth, your Corporate Office Customer Service Rep, and I visited about. And I can’t leave out Amy or Denise…Dr. Fischer and Dr. Hauck would be up a creek without a paddle without those two! My first meeting with Dr. Fischer was quick, professional, and down to the point. The fact that he has done so many procedures was important to me, and that he used a very small incision was a plus. The whole team for surgery as very proficient explained what they were doing and what to expect. This goes a long way for most people. In my case there was little or no discomfort, more of an inconvenience than anything. The feeling in my hand steadily improves each week, and is close to being normal again. I would personally recommend Dr. Fischer. Thank you, Dr. Fischer for a job well done. My hands had been bothering me for quite some time and would even fall asleep while I was sleeping. After I realized that the pain wasn’t going to get any better, I decided to make an appointment with my doctor who then referred me on to Dr. Fischer with Twin Cities Orthopedics. From the first appointment with Dr. Fischer I felt very comfortable. After taking one look at my hands, he knew exactly what I had been suffering from and decided that it would be in my best interest to move forward with a surgical approach. Everyone we came into contact with at Twin Cities Orthopedics was extremely friendly. From the front desk reception staff to the surgical staff, they always made me feel comfortable and relaxed. My procedure went very smoothly and Dr. Fischer made sure to check on me to after I left the operating room. I could not believe how attentive the staff was! My recovery has been stress-free and I am following along with the recommended exercises at home. A month after my surgery and I am almost completely pain free! Marissa R., of Maple Grove has had a pair of surgeries on her left wrist with Dr. Fischer. She and her family have had very good experiences with Twin Cities Orthopedics Maple Grove, highlighted by Dr. Fischer and the physical therapy staff. “I’ve have had physical therapy with Lisa and Shelly I enjoy Dr. Fischer and Rebecca,” she said.